Looks like the Powerstar of Telugu cinema wants to give a big break his menalludu at any cost. 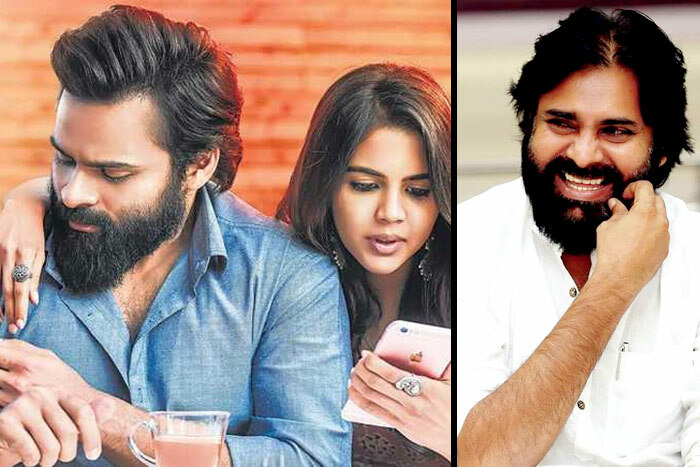 Yes, now Pawan Kalyan is giving the needed push to Sai Dharam Tej’s Chitralahari movie as he watched it other day in Hyderabad. After finishing post-election works in Vijayawada, Janasena president is said to have returned to Hyderabad to spend quality time with wife and kids. On this occasion, he has watched Sai Tej’s Chitralahari at a special screening. Reportedly Pawan is pretty impressed with the movie, we hear. Pawan is said to have loved the story of loser, and he is said to have appreciated Sai Dharam for choosing a right script at the most dull time of career. As Pawan knows that his menalludu needs a might hit after a string of flops, he’s said to have given gyaan how he has waited for years after Kushi to get a right hit. And then Pawan appreciated director Kishore Tirumala as well for the slick writing when it comes to popping some philosophies. After Megastar Chiranjeevi’s review, maybe Pawan’s review should help Chitralahari a lot with the collections. Previous articleSam Avoids Majili Success Meet. What’s Up?